Having touchscreens on our phones comes the responsibility to care for and prevent falls that can lead to rupture of the latter. For this there are panels that cover the device screen and avoid scratches and some minor fall. One of the best known manufacturers of protective panels as Corning , already implemented almost all the smartphones launched on the market. All new top end this year, as last year included 3 Corning Gorilla Glass, which provides good resistance to scratches and protect some slight fall. But the most common cause of fall is the height of the pocket, that is about a meter high. 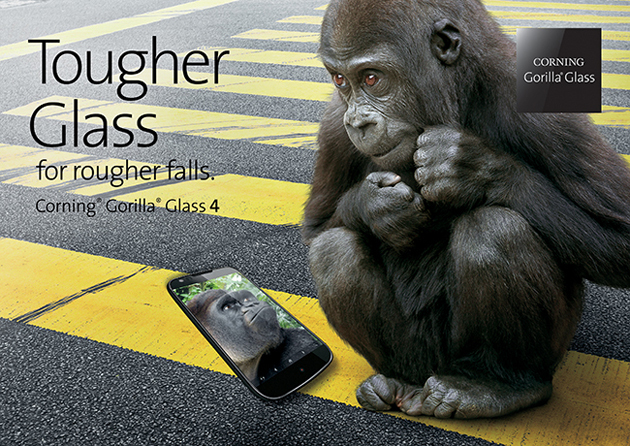 Corning has thought of this and is already developing a new version of blank, Gorilla Glass 4. This new protection reduces by 80% the probability of failure from a height of 1 meter. We will not have full protection because it depends on many factors such as the surface where it falls. Now the brand is sending trial lenses from various manufacturers for test and if all goes well, the next flagship 2015 have this new technology of Corning. Now just frighten us when we fall our mobile only the bad news happen less often.